I had a 15 ounce can of garbanzo beans commonly known as chickpeas. Decided to use same as a great snack. Thus, I drained and rinsed under cold tap water. Then, I dried chickpeas on a clean kitchen towel. On a greased baking sheet, I placed peas and drizzled a little olive oil, sprinkled a pinch of paprika, salt, and pepper and thoroughly rubbed in all the ingredients. Chickpeas were roasted for approximately 20 minutes in the oven at a temperature of 400 degrees. The finished dish was crunchy and chock full of flavors. Frankly, I never missed the popcorn. 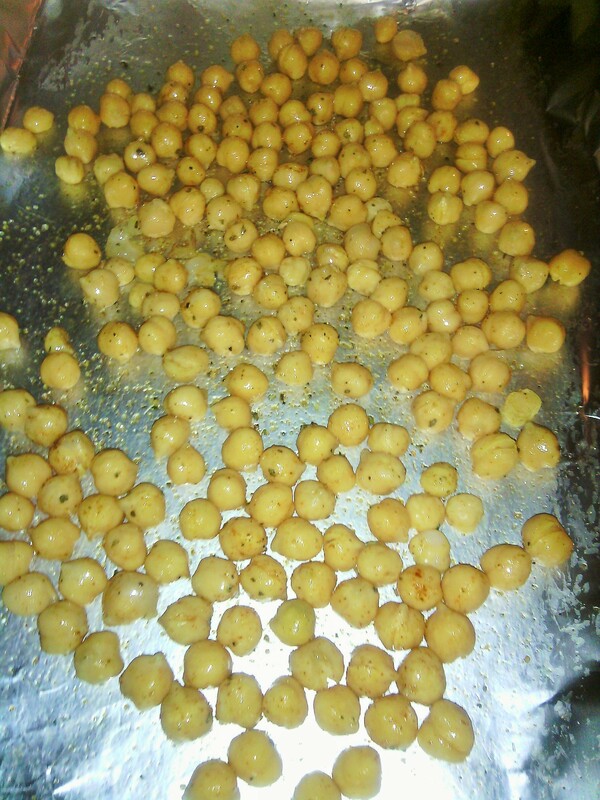 I’ve reserved some of my roasted chickpeas for a green salad. This will provide great texture and flavors to the salad. Moreover, I know that just by incorporating these beans I’ll also be gaining beneficial fibers that will keep be satiated for long.